Being a customer focused organization, we are engaged in offering a wide and exotic assortment ofHerbal Henna Mehndi Powder. 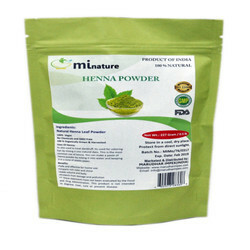 The Henna powder offered by us comprises henna shikakai, amla, bhringraj, brahmi, headed, baheda, ratanjot and other pure herbal ingredients. Moreover, there is no chemical added is to it. - amreen burgundy hair henna is made from amla, sikakai and natural herbs which are made together to make your hair dark black, silky, smooth and shiny without damaging your hair with any harmful chemicals. we are engaged in providing our clients with Red Henna that is a natural dye made from the tender leaves of the henna plant (lawsonia inermis). Our henna powder is widely used a mark of celebration on auspicious occasions such as birth, marriage and other festivals. Moreover, our henna paste is considered as a traditional cosmetic, natural dye and medicine. 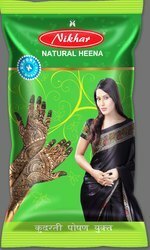 Albeli henna a blend of high quality Rajasthani henna prepared from leaves, plucked from the finest fields of Rajasthan. A natural gift for your festive occasion for hair, hands and feet. A symbol of good faith and love. Try our blended “Henna Yahoo “ for a better experience and good health. In line with client's diverse needs, we are manufacturing and supplying a distinguished range of the Natural Rajasthani Mehndi. Available in : 200g, 100g.